An intensive morning and night eye treatment product. 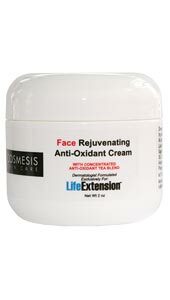 Reduces the appearance of both puffiness and darkness under the eyes. 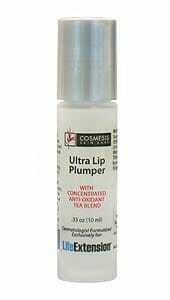 Contains an active complex of soy and rice peptides, yeast protein, vitamin K, arnica, hyaluronic acid, and seaweed extract. Renowned dermatologist Gary Goldfaden, M.D., has developed novel solutions for the most common skin problems encountered by maturing adults. Based on extensive clinical testing, these formulas are designed with potent antioxidant tea extract (red, green, and white) to correct specific areas of concern, such as the appearance of darkness and puffiness under the eyes, fine lines, rough skin, loose skin, and more.80-87 These products can be used in conjunction with any other skin treatments or products. 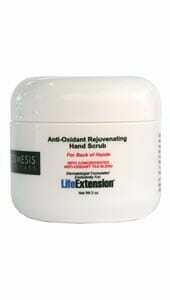 They are specially formulated exclusively for Life Extension. 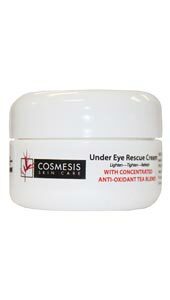 Under Eye Rescue Cream is an intensive morning and night cream to minimize the appearance of under-eye puffiness and darkness. It targets bags and circles and softens the appearance of UV=damaged skin. Formulated to smooth and soften while it refreshes, lightens and tightens. Ingredients: Purified Water, Hyaluronic Acid, Seaweed Extract, Oxido Reductases, Soy Peptide, Hydrolized Rice Bran Extract, Jojoba Oil, Apricot Kernel Oil, Squalane, Pulverized Mica, Arnica Tincture, Vitamin K1 (Phytonadione), Laureth-7, C13-14, Isoparafin, Polyacrylamide, Concentrated Tea Blend Extract, Oil Of Kumquat, Phenoxyethanol, Ethylhexyglycerin. Apply to skin AM and PM. Apply pea size amount to orbital ridge, tapping in gently.